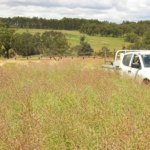 Pre-emergent herbicides in stubble – strike or foul? Ever tried walking out onto a 10-pin bowling alley? It’s generally not pretty, often resulting in a rapid and undignified descent to ground level…But that’s just what we need to get pre-emergent herbicides to slide off stubble and into the soil, which can be difficult in higher residue systems. Rainfall is obviously a key driver in leaching herbicides from stubble before they dissipate, but as we all know rain can be an unpredictable beast. Fortunately, research has shown that some pre-emergent herbicides require far less rainfall to move off stubble and into the soil where they can control germinating weeds. Stopping ryegrass seed set pre-harvest in canola is all about timing. Sometimes the timing window lines up, other times it does not. Glen Riethmuller, DPIRD Merredin has a knack for choosing the most difficult, most labour intensive research trials to undertake. 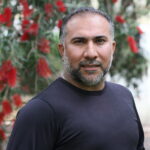 Between 2010 and 2013 he, along with Abul Hashem and Catherine Borger investigated ryegrass seed set control pre-harvest in canola. They investigated the practice of spraying under the swather as canola is windrowed for harvest compared to crop topping (desiccation) spraying over the top of the canola. Harvest weed seed control (HWSC) is often described as the holy grail of weed management, but we all know how the saying “Behind every successful person…” ends. 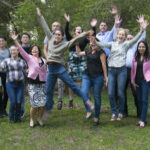 There’re usually more factors at play than just the individual, whether that be lots of coffee or a great support team. The same goes for HWSC. 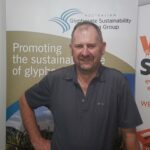 Research by Michael Walsh from the University of Sydney and John Broster from Charles Sturt University has shown that crop competition plays an important support role in the success of harvest weed seed control. Click through to learn more! 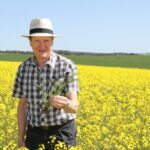 Are ‘pre-ems and crop competition’ the ‘wine and cheese’ of weed control in canola? Wine and cheese. Strawberries and cream. Crop competition and pre-emergent herbicides. Ok so the last one doesn’t quite have the same ring about it but they really do go together nicely. Combining a competitive canola variety with pre-emergent herbicides has proven to be an effective strategy for reducing annual ryegrass seed set. 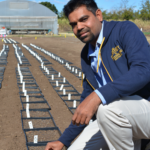 Recent trials showed that with effective pre-emergent herbicides, a competitive hybrid canola variety can reduce ryegrass seed set by 50% compared with a less competitive open-pollinated (OP) variety. That’s impressive. But should we tar all OP varieties with the same brush? Chaff lining…too good to be true? How often do we hear comments like “you get what you pay for” or “it’s too good to be true”? Well, chaff lining just may be the exception to those comments. Chaff lining has been on a rapid rise to glory in the Harvest Weed Seed Control (HWSC) scene over the past two seasons. A survey of WeedSmart subscribers showed the percentage of growers using chaff lining increased from 6% in 2016 to 26% in 2017. So, at $6.40/ha, do you get what you pay for? Is it too good to be true? Four years ago, we suggested in AHRI insight that farmers were spoiled for choice with five harvest weed seed control tools to choose from with a sixth in development. Well, a lot has happened since then. We now have seven harvest weed seed control tools to choose from, so if farmers were spoiled for choice in 2014 they are absolutely spoiled rotten now! AHRI insight – the 100 is up! We’re undecided whether we should picture the AHRI communication team cutting through a massive banner as we run onto the ground or raising our bats in the air at the MCG after a long day in the middle. It’s been a long innings and is one that we have enjoyed immensely. 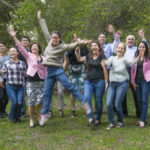 To celebrate the 100th AHRI insight we’re reflecting on what have been the big stories that got you excited and made the biggest impact. There are few herbicide options for sowthistle control in chickpea crops, making the perfect recipe for a good ol’ sowthistle blowout. 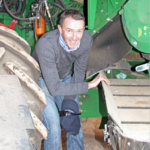 Despite all of this, the latest research by Michael Widderick, Adam McKiernan and Greg Harvey from QDAF with GRDC investment is finding that chickpeas can win the competition against sowthistle if they stack their deck. 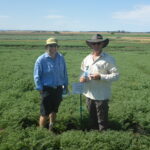 Growing a chickpea crop at narrow row spacing and high crop density in northern cropping regions can greatly reduce sowthistle seed production without reducing chickpea yield. Click through to find out more!